Ever wanted a BMW 335i with 'bulletproof' reliability? Ok, so it isn't actually bulletproof. But the damage does appear to be limited to within the engine compartment, and the rest of the car seems to have held up fine. 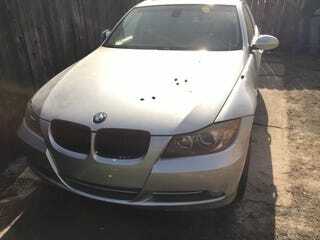 Still, if you have a spare BMW N54 engine lying around, this E90 2007 335i could be one hell of a flip at $5500 (although it does have a salvage title). What is the best single-purpose production car ever made?